You love the Denver lifestyle. Live where you love. IT'S MORE THAN JUST A TAGLINE. Why “Live Where You Love”? It’s simple, if you follow your heart you’ll always find your way home. Hi I’m Colin Whitenack, and I have been lucky enough to live in Colorado my entire life. I love it here. However, I’ve found that most of the people I’m surrounded by, including my terrific agents, have discovered Colorado for themselves and moved here from another state, or even country! Their love of Colorado comes first and the decision to live here follows. 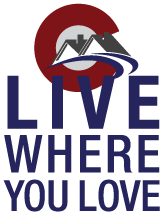 At Colin & Company we understand that you want to live here because you love Colorado, too. After enjoying all the activities and culture this state offers, you want to live in a neighborhood and a home that you feel great about. We strive to understand the heart and soul of our clients, so we can be sure to get them in a place they love to live. Whether you’re buying for first Colorado property, or looking to sell and get your well deserved upgrade, we would love to talk to you! Please reach out to me or one of my terrific agents so we can get started! I’m here to help you with your real estate needs. Colin understands that you want to be here because you love Colorado. So do I! Let me help you sell or buy your next home. "Providing the very best service is essentially about putting my clients first. This means keeping myself accessible, being a good listener as well as a good communicator, and responding quickly to your needs." We love the Mile High City! DENVER IS KIND OF OUR THING. Hello, Denver! Thank you for visiting Colin & Co. Real Estate. I am Colin Whitenack, founder of Colin & Co., and I’m a Denver native who loves how this city has grown and changed over the years.  The Colin & Co. Real Estate team loves helping people buy their dream home or sell their homes for top value in Denver. Client service is our first priority and your goals are ours. We’ve been helping people buy and sell homes in the Denver market for years, so we really understand the ins and outs of this place. We specialize in the Park Hill, Congress Park, Capitol Hill, Highlands, Washington Park, Mayfair, Hilltop, Baker District and neighborhoods. If you’re interested in buying or selling in one of these neighborhoods, we’d love to help you out! First time seller? Grab our ten tips for a stress-free process. The Colin & Co. Real Estate team has been working in the Denver market for years. Download our 10 FREE tips for Home Sellers in Denver with helpful insights from our founder, Colin Whitenack. This great resource can be printed and shared with friends. First time homebuyer? We've got you covered! Download our FREE resource for Home Buyers in Denver: 10 Tips for Home Buyers. It's a helpful document with insights from Colin & Co. founder, Colin Whitenack, and can be printed and shared with friends. Let us keep you up to date on Denver Real Estate. Subscribe to our newsletter! We know Denver and we've got your back.